February marked the start of PSG’s calendar of over 30 free CPD events across England & Wales in 2013. 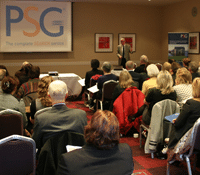 PSG Kingston and PSG Brighton and Southampton hosted four seminars, which commenced a year of events aimed at supporting lawyers and conveyancers to achieve their annual CPD requirements. These events were a real success and attended by well over 200 delegates. PSG offices have already scheduled more than 30 events across the country and with others in the pipeline this will be the most active year ever for PSG in the provision of CPD. 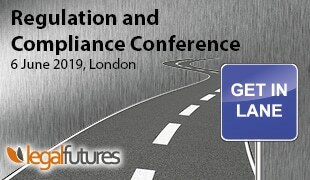 The majority of events include 3 or 4 CPD hours and this year subjects covered include compliance and regulatory issues, mortgage fraud, building control, flooding and a wider range of topical issues than ever before. Contributors already booked for the events include Andrew Crawford, Chris Harris, Legal Eye and GEM Legal training. Andrea Glover, Managing Director of PSG said “PSG offices across the country see the organising of CPD events for their clients as a way of thanking them for their continued business, likewise it is a chance for conveyancers who don’t use PSG to meet with their local office Director and hear what our clients say about us. Word of mouth and personal recommendation has always been key to our success”.